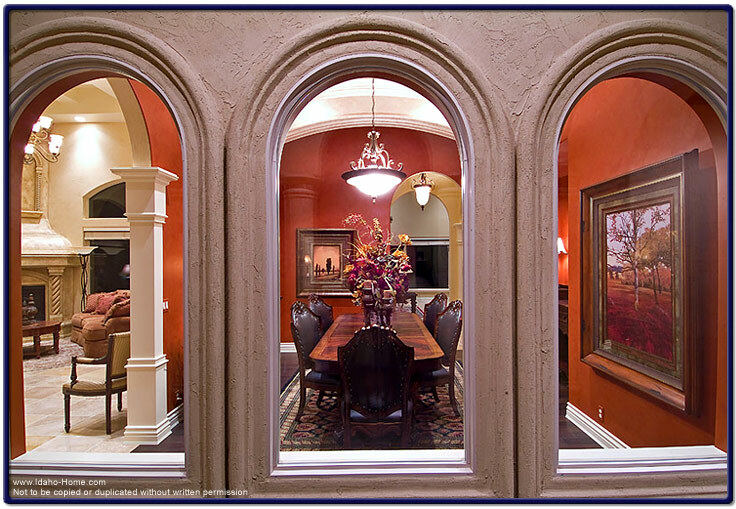 The image pictured below is a view of a dining room looking in, from the outside of a custom luxury home. The dining room walls are painted in a deep red with an ivory color high ceiling. The floor is composed of dark oak hardwood. This is considered a formal dining room where a large group of 12 can be seated comfortably. This particular home was built in Idaho by One World Builders.